G.R.Nunn's butcher shop which is where Benfruit is now. This is where Peter grew up as a child. 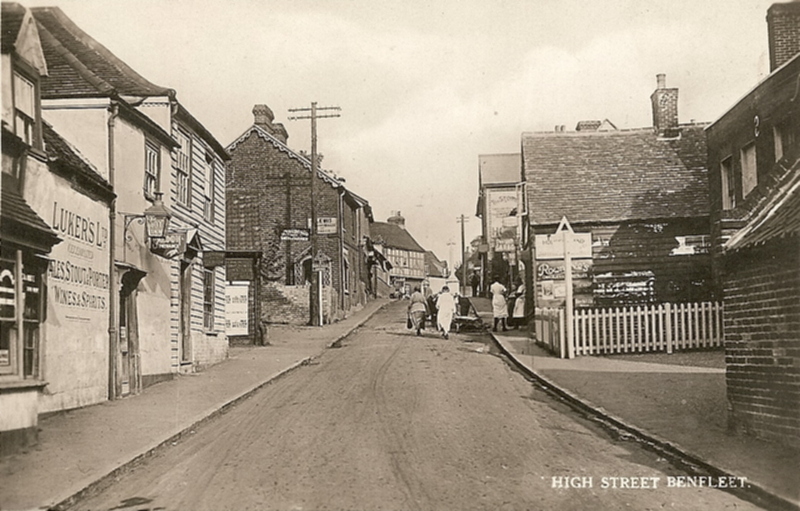 The original of people walking up the High Street Benfleet. Olive recognised two of the people. A blowup of the High Street photo. 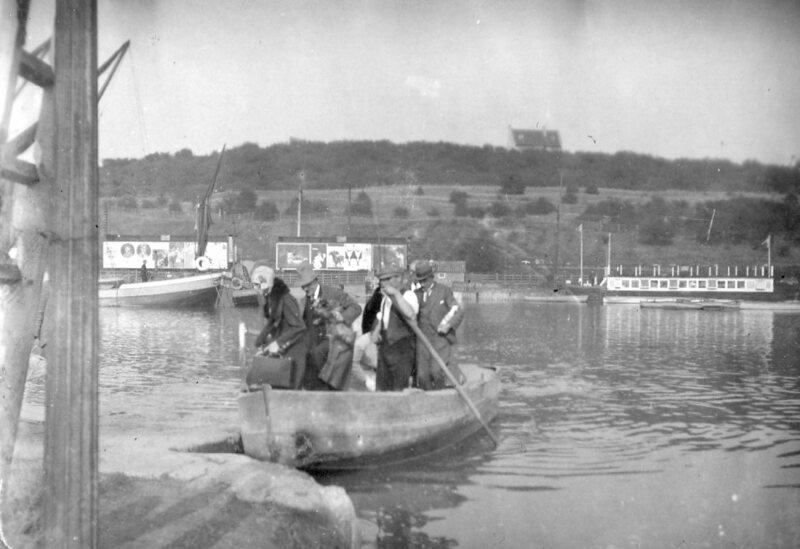 The two ladies on the right-hand side, who are talking together, are Olive's mother - Violet Margaret Smith - and her grandmother Mrs Cripps. The lead taxi driver is likely to be Peter's uncle Bill Nunn. 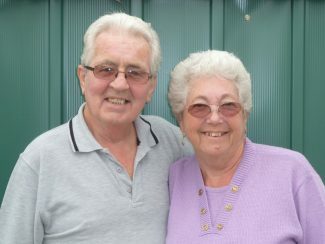 Peter and Olive Nunn came into the Library on Saturday 5th November 2011 and started talking about Benfleet. As we were running that month’s Library session for the Benfleet Archive we asked them if they minded if we recorded the conversation. They agreed and the recordings on this page are edited from that forty minute conversation. Peter Nunn was born in 1935 and Olive in 1940 and they have lived in Benfleet their entire lives. They willingly shared their recollections on various topics especially shops. 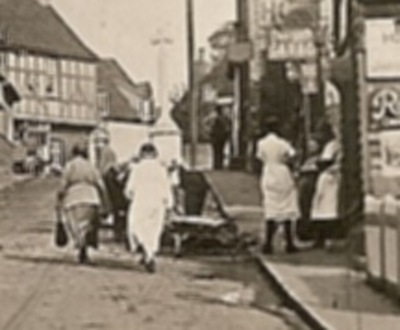 Peter’s father was George Nunn who was one of the four butchers in Benfleet. However Peter did not have a picture of his father’s shop which we were happy to supply him with. Our thanks to both of them for their co-operation in recording these memories. David Hope was my father Don Thompson. Nice to hear he was your friend many moons ago. 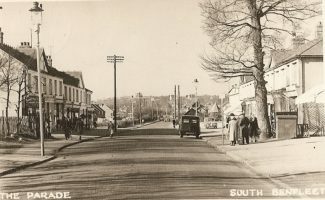 I lived in Hope Road with my grandma. I remember you, Peter Nunn, quite well. I believe you lived nearly opposite David Hope, who was a friend of mine until my family moved to Hadleigh in 1945. I remember having my hair cut at Marie’s (always pronounced as Mar-ree), in the early 1950’s. Her ‘salon’, if you could call it that, was a wooden building roughly in front of what is now the Conservative Club. I am told that it was originally the old Customs House. I absolutely hated having my hair cut there. Marie was quite rough with me. 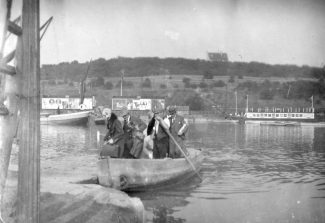 I was told that she lived on a house-boat in Benfleet Creek and that she was a bargee. Whether that was true or not I don’t know. My Aunt, who lived in Hall Farm Road, used to take me there and afterwards we would return there for stewed eels and liquor. Come to think of it I didn’t like eels either and have never voluntarily eaten one since! Was Marie Nunn’s maiden name Welsh? If so my mother, Doris Burnside, remembers her. 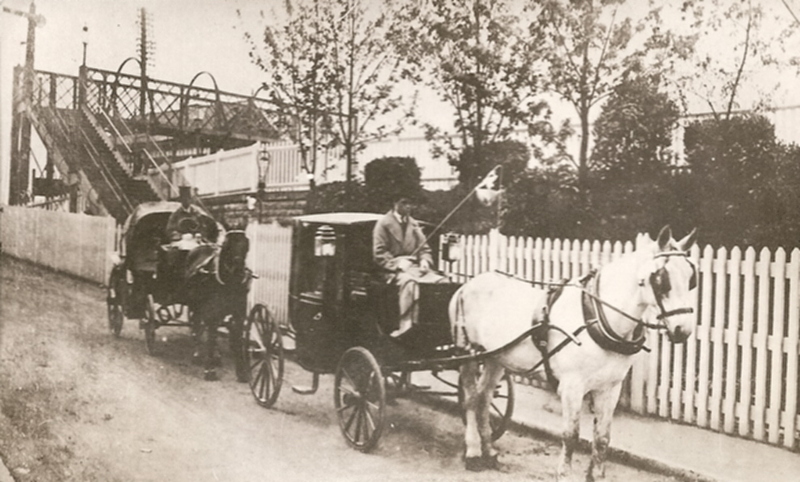 Correction to my last comment, my mother’s relatives, the Champions, lived in Richmond Ave, Benfleet. 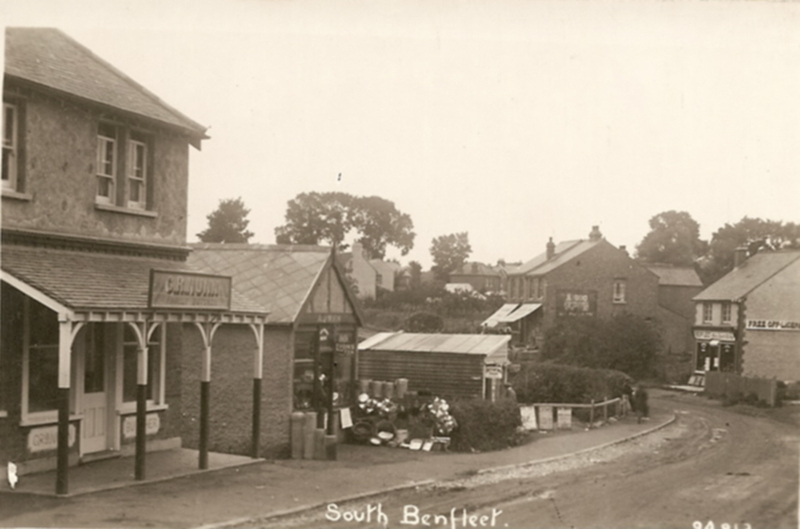 My mother lived near the top of Chesterfield Ave, just below St Peters Church with her brother Gerald and her mum and dad Fred and Doll Champion and Babara all went to Benfleet school most likely in the late 1920s. If of interest, my mother is now 90 and her maiden name was Babara Champion. 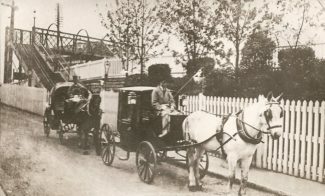 She has lived in Thundersley since she was a little girl, and her relatives, the Champions lived in Jotmans Avenue, Benfleet. Peter brought back many memories of Benfleet during the 40/50s. We called his shop grs bangers, after the name on the shop front which was G R Nunn sausages. Incidentally, Peter & I were in the same class at Benfleet School.